Does your family participate in the "Family Photo" holiday tradition? Each year you gather in carefully planned outfits and stand together outside your front door or cuddled up around one big armchair. Then the photos are printed and mailed out to family and friends all over with warmest wishes for the holiday season and a happy new year. Why not try something a little more unique and memorable? For those nearest and dearest to you, put in a little extra effort and give them something they will actually use. Add in your own family photos to make it extra special. Its easy to do with StickerYou's photo stickers. Simply navigate on our website to the photo stickers page. Then choose any of our page templates to get started. Upload your photo and position on the sticker or label. Add whatever text, colours, patterns, borders or banners you like to get the style or theme you want. We do have a specific photo stickers webpage, but you can actually add photos or your own custom images to any of our templates or products. Simply use the "upload" button and choose a .JPG or .PNG photo file. Have lots of videos of your little ones? Or old VHS home videos? Burn them to a blank DVD. 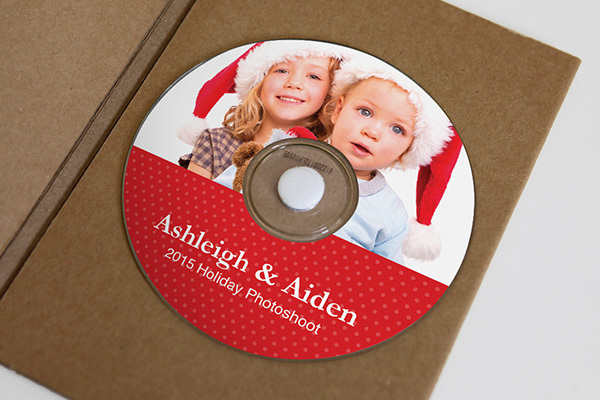 Create a custom CD label with family photo and title. Those precious memories will have a new look and be in an updated format so they'll be easier to watch. This makes a great sentimental gift for parents or grandparents. Bringing a bottle of wine as a hostess gift? It's a classic gift for those holiday parties and gatherings. 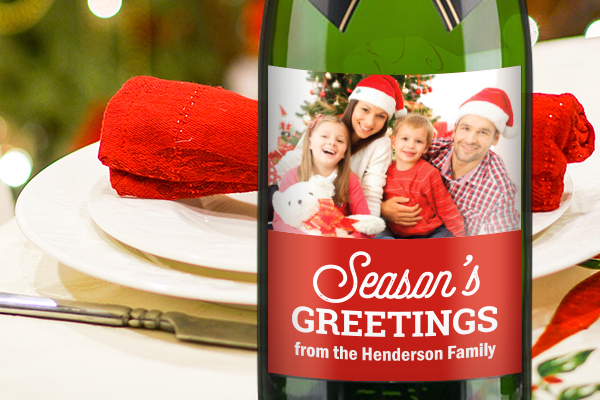 You can make that bottle even more personal and special with custom wine labels. Add a photo of you and the host/hostess or your family and you've got an enviable gift they will love to show off. Have a close friend you'll be ringing in the New Year with? New Year's Eve parties usually have a little bit (or a lot of) celebratory drinking and glass clinking. 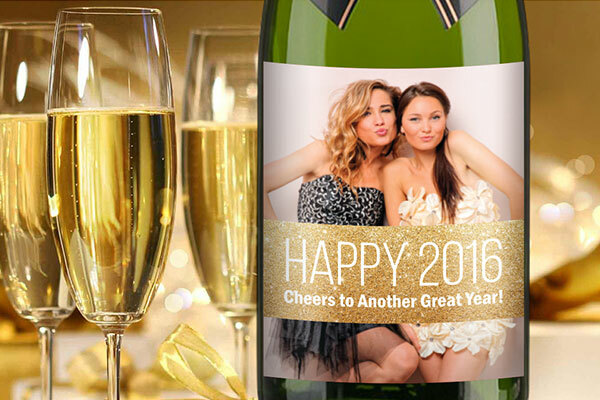 Bring your friends their own bottles of New Year bubbly with a photo of you and the friend on the label. They'll be so grateful for such a fun (and practical!) gift. Got a superstar on the home-team? 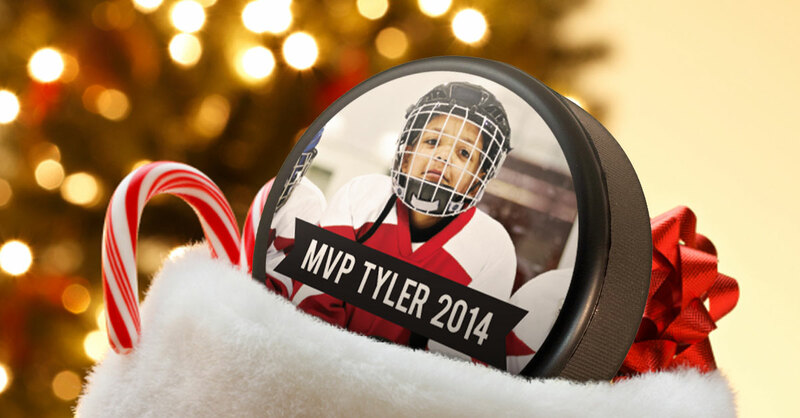 Hockey pucks make a great stocking-stuffer or holiday gift for your young one. 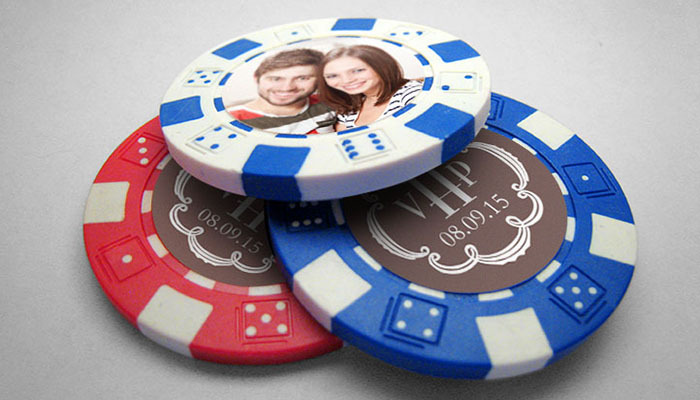 Add a photo sticker of them in their hockey gear and the date to the top of the puck. It will be a keepsake they will treasure for years. Also great for older sports fans or teammates! Have a card shark in the family? They may have a couple poker sets already, but they probably don't have custom poker chips with a picture of their (or your) face on them. They'll always know which chips are theirs and have a lucky set to play with. 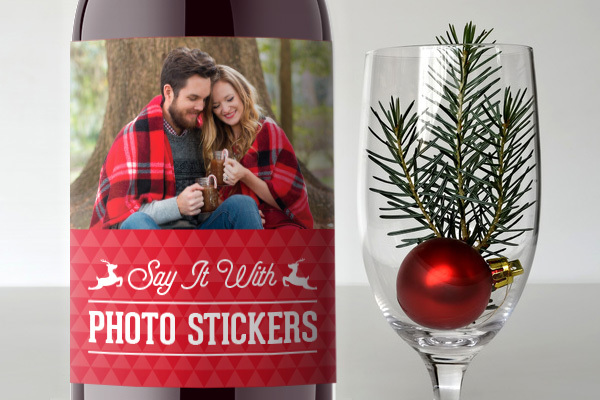 Whether it be for the holidays, a birthday, a special occasion, or just because, StickerYou has a way to add your photos to simple gifts, making them personal and memorable. For other Holiday gift ideas, check out the rest of our Holiday products. Join our mailing list to be in the know on sweet deals and promotions, new products, upgraded site features and more!